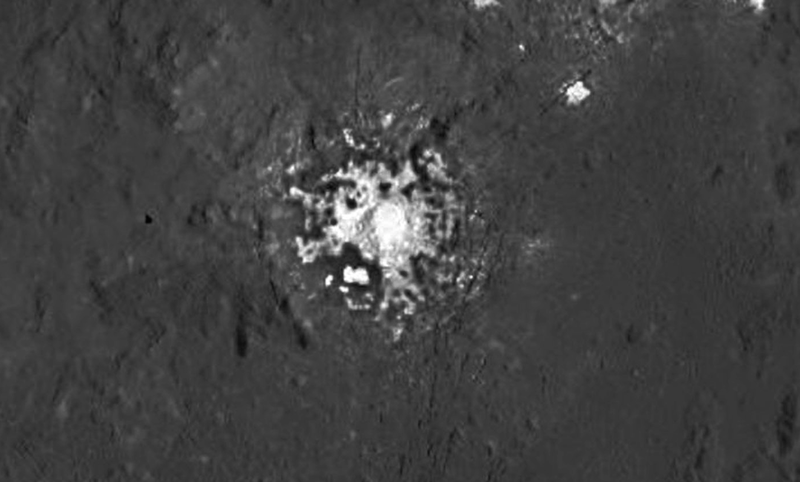 UFO SIGHTINGS DAILY: NASA Releases Close Up Photo Of White Spots On Ceres, Sept 9, 2015, UFO Sighting News. 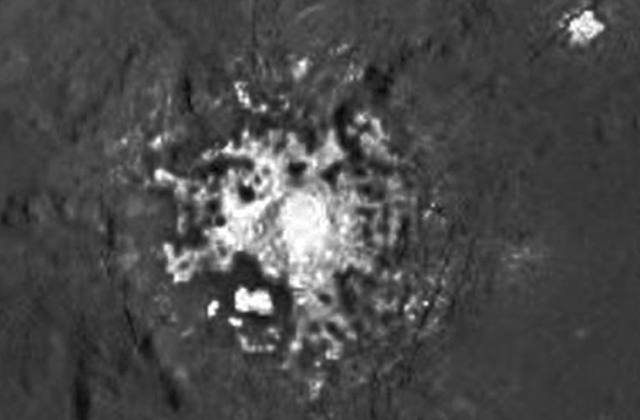 NASA Releases Close Up Photo Of White Spots On Ceres, Sept 9, 2015, UFO Sighting News. This is interesting. 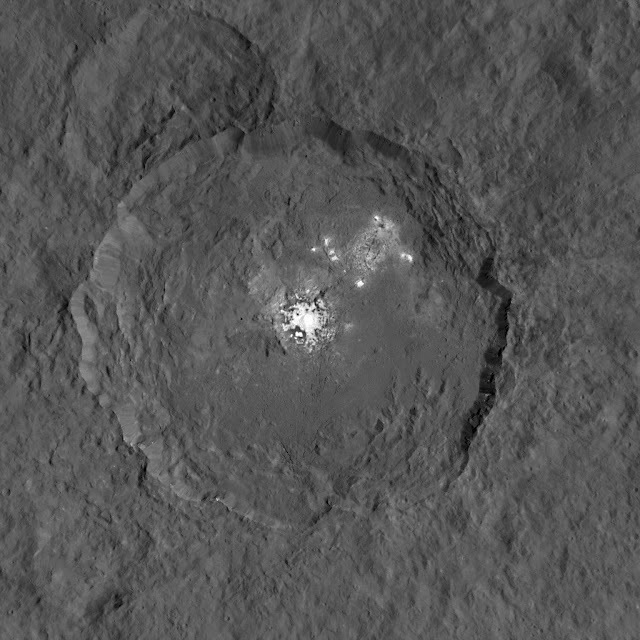 NASA just released a close up photo of the white glowing spots on Ceres. It took several months, but finally they have a close up. Those months kept UFO researches in suspense. Here we can make out a coral like structure that was built in the center of the crater. I say structure, because many alien structures resemble this fungus appearance. It may be because the structures are part biological and part mechanical. Because NASA waited two months to release this photo, I am very worried about how much of it they altered with photoshop? And how much is original. They certainly had the time. I am surprised that they released this image...NASA is changing for the better.